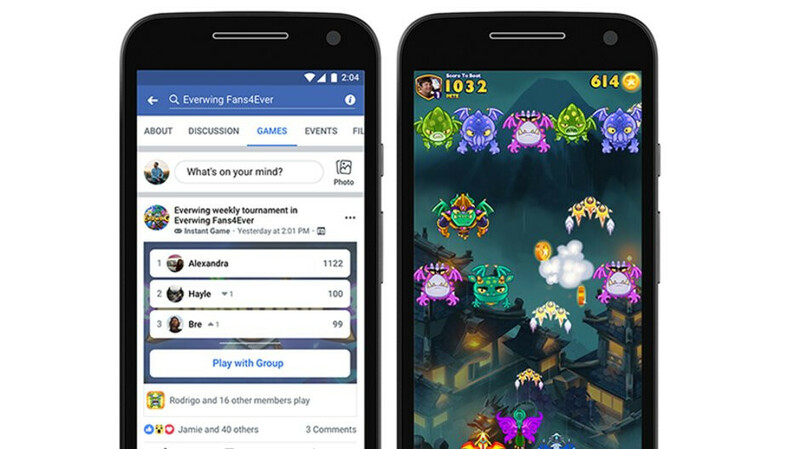 Facebook has just revealed plans to expand the option to play games between Messenger users to other parts of its social network ecosystem. Apparently, Instant Games is a pretty successfully feature, as Facebook announced that since it opened the platform it had a 25% increase in popularity from June through September. As such, Instant Games will be added to Gaming Groups on Facebook in the not so distant future, the company recently announced. Moreover, Facebook said that it's still thinking whether or not to make Instant Games available as an opt-in feature in group categories outside of gaming. Another way to enhance Instant Games engagement is to bring it to Facebook Lite. The new feature will be added in the “More” menu adjacent to News Feed, as a permanent entry point. The games Facebook Lite users will be able to play through Instant Games are built in HTML5 and do not require any downloads. Finally, Facebook promises that it will continue to improve Instant Games on Messenger as it grows the platform on additional surfaces, so expect more gaming-related improvements in the future.